From May through September, excessive heat and humidity have caused air conditioners in Durham to work overtime. 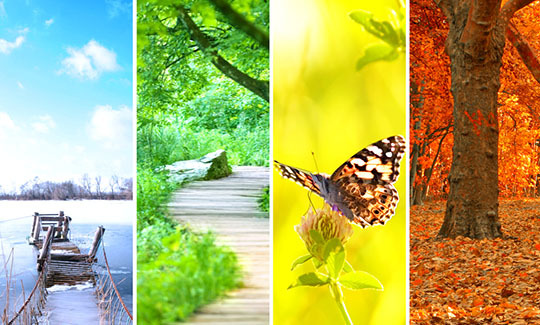 With the change of seasons, it is always important to perform routine and proper maintenance on your heating and air conditioning system. 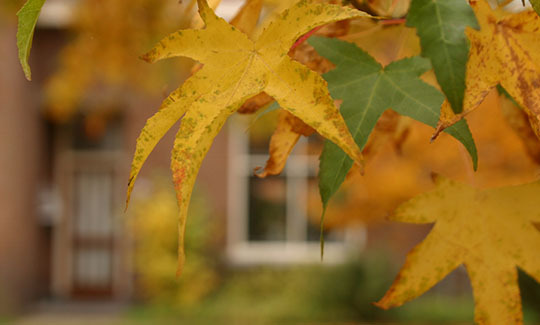 In order to help you prepare for Fall and Winter, we are outlining important maintenance steps for the changing seasons. 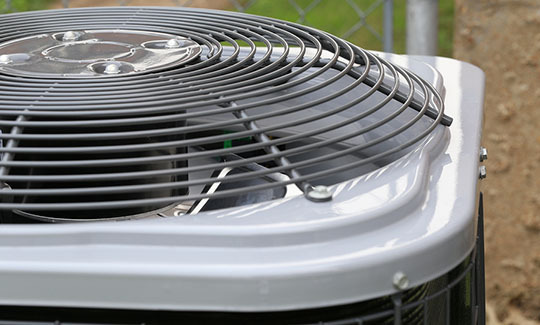 In this article we have prepared seven outdoor HVAC maintenance steps. In our next article, we will share seven indoor maintenance steps. Over the course of the summer, leaks may have developed in your unit’s refrigerant lines. 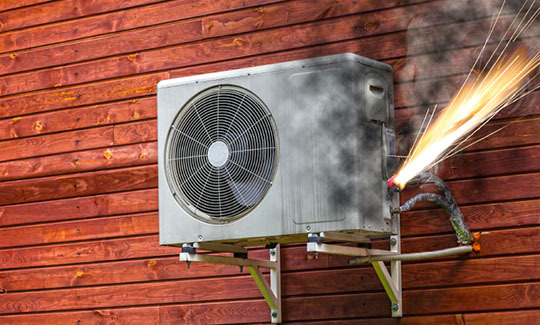 Leaking and low refrigerant levels will cause your HVAC’s cooling system to overcompensate. This can lead to your unit to under-perform, freeze, trip the breaker, and eventually fall into disrepair. If allowed to persist, leaking refrigerant will shorten your HVAC system’s lifespan. This issue requires the immediate attention of a professional HVAC technician. If the fan at the top of your outdoor unit is damaged or impeded by dirt and debris, it may result in strange noises or reduced performance. If you see that the fan needs to be cleaned, you can do it yourself, but make sure you turn off electricity to your system at the circuit breaker. Follow any manufacturer instructions. You can find instruction manuals online. Remove the grate covering the fan. Make sure you keep up with all screws and attachments. Remove any leaves, sticks, and loose debris. Clean any dirt from the fan blades with a wet towel. Make sure the hub screw is tight. If the fan has been dented or damaged, contact a professional to inspect the fan and unit. Before examining and cleaning condenser coils, make sure the electricity to your unit is turned off at the circuit breaker. To locate the evaporator coils, follow the manufacturer instructions for your specific unit. You can find instruction manuals online. If the evaporator coils are dirty, your unit’s performance and lifespan will be reduced. To clean evaporator coils, simply wet a rag with warm water and detergent. If it the evaporator coils prove difficult to clean, or you observe signs of damage or malfunction, contact a professional HVAC technician. If your evaporator coils fail, it will result in major, costly repairs. 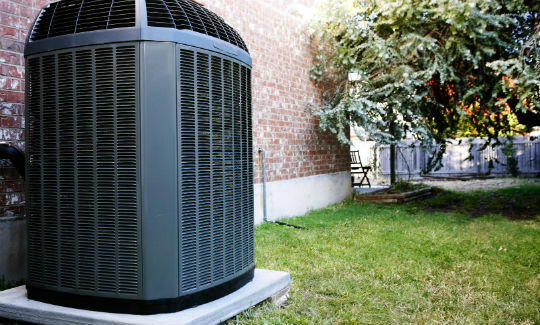 Shrubbery and fencing improve the aesthetics of your yard and hide your HVAC unit, but it is vital to maintain two feet of clearance around your system. In addition to cutting back shrubbery, make sure all limbs, grass clippings, and leaves are removed as soon as possible. Improper airflow will reduce your unit’s performance, lifespan, and lead to costly repairs. Is your unit level and stable? Make sure summer rainfall and flash flooding has not loosened the ground beneath your unit, causing it to wobble when it is running. Make sure your furnace vents are unobstructed before turning on your heater. Air flow is key to energy efficiency and the longevity of your system. HVAC maintenance can be a daunting task. If you want the peace of mind of having your system inspected by professional, licensed HVAC technicians, contact us. Maintenance plans ensure your unit is always performing at its peak. Additionally, regular maintenance and inspection will help identify minor repair needs, before they become major, catastrophic issues.